"May God continue to bless in your time of of sorrow Leroy..."
"He was a wonderful teacher. He made a difference in my..."
"I had the honor of serving with 1SG Bogan in Germany with..."
"I had the benefit of teaching next to Leroy for several..."
"Our sincere condolences to the family. Our prayers are as..."
Leroy enjoyed exercising, watching all sports (especially the Pittsburg Steelers), was a long time member of the DAV, he served as the Instructor of the ROTC Program and Fountain-Fort Carson High School, volunteered as a coach, but his true passion was spending time with his family. Leroy proudly served 30 years in the United States Army and was awarded several medals and commendations. 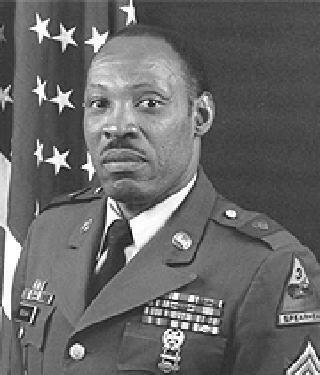 He served in several conflicts and was awarded the Bronze Star Metal with 3rd Oak Leaf Cluster, the Valorous Unit Award, the Vietnam Civil Action honor Medal with 1st Oak Leaf Cluster, the Vietnam Seervice Medal with 7 Bronze Service Stars, the Vietnam Cross of Gallantry, the Armed Forces Expeditionary Medal. He was also awarded the Army Legion of Merit and Meritorious Service Medal 1st Oak Leaf Cluster. Leroy Bogan, 76, a Retired Army Veteran passed away on August 2, 2018 in the comfort of his home surrounded by his loving family. Leroy was born on June 27, 1942 in McKees Rocks, PA to the union of Lawrence G. and Corrine (Buxton) Bogan. He was preceded in death by his parents, his siblings; Lawrence Bogan, Fredie Bogan, Johnny Bogan, Louise Hayden and Doris Cook. Leroy is survived by his wife, Sun Tuk Bogan; his sons, Darryl and Michael Bogan; his grandchildren, Imari Bogan, Maliq Bogan, King Bogan, Laila Bogan, Amiyah Bogan and Darius Bogan; sister-in-law, Blanche Bogan and many other loving family members and friends. A visitation will be held on Thursday, August 9, 2018 from 5:00 - 7:00 pm at Angelus Chapel Funeral Directors, 1104 S. Circle Drive, Colorado Springs, CO 80910. A Funeral Service with Full Military Honors will be held on Friday, August 10, 2018 at 11:00 am at the Funeral Home. A reception will follow at eh Angelus Chapel Reception Hall. Burial will take place on Monday, August 13, 2018 at 2:15 pm at Fort Logan National Cemetery.